Instantly accelerate your rendering with multi-GPU workstations and NVIDIA® Quadro® GV100, NVIDIA® Quadro® GP100, or a VCA Certified System with eight Quadro P6000 GPUs. Connect a network of local or remote GPU servers or VCAs or scale to the cloud for the fastest final frame results possible. Use code at PNY checkout. Find available SKU's below. at checkout to redeem special offer. Learn how Woods Bagot, a global architecture firm, has enhanced building design through rendering and virtual reality with V-Ray GPU and NVIDIA RTX™ on NVIDIA® Quadro® GV100. Image courtesy of China Architectural Design and Research Institute Company Ltd. The ecosystem of professional ray tracing technology that requires or is accelerated by NVIDIA GPUs is large and growing. Our GPU rendering partners’ software products are used extensively by over half of a million end users from professional product design and building design (AEC), through to commercial and film visual effects industries. Chaos Group’s V-Ray is a widely used, industry standard rendering software relied on by artists and designers that create stunning imagery and animations for product and architecture design to commercial and film visual effects. V-Ray GPU is a production proven highly physically based renderer developed using NVIDIA CUDA that massively accelerates rendering with NVIDIA GPUs. Tests run on a workstation with Intel Xeon E5-2697 v3, 14 cores 2.6GHz, 32GB RAM, running Win 10 64-bit, Fall Creators Update. Performance testing completed with V-Ray Benchmark 1.0.7 and driver version 390.77, HD render resolution. Redshift is the only biased GPU renderer, which means it offers the most flexibility for shading, lighting, scripting, and scene setup among all GPU renderers. It is also currently the only go-to GPU renderer for larger VFX facilities and those demanding the best for stability and flexibility. Tests run on a workstation with Intel Xeon E5-2697 V3, 14 cores 2.6Ghz, 32 RAM, running Windows 10 64-bit Anniversary Update and driver 385.09. Performance testing completed with Redshift bench version 2.5.20, image resolution 1920x1080. Octane Render is one of the first and fastest GPU-accelerated, unbiased, physically correct renderers to be developed. Octane uses the graphics card in your computer to render photorealistic images super-fast. 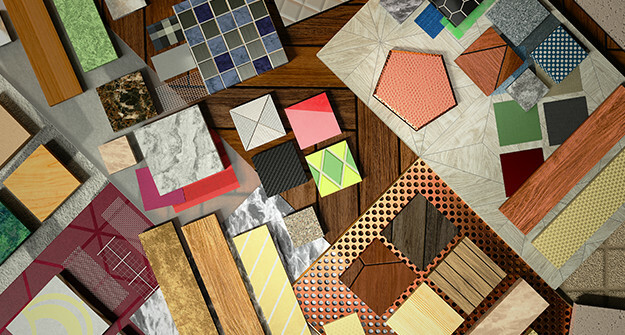 With Octane’s parallel compute capabilities, designers and artist can create stunning works in a fraction of the time. Tests run on a workstation with Intel Xeon E5 2697 V3, 14 cores 2.6Ghz, 32GB RAM, running Windows 10 64-bit Anniversary Update and driver 385.09. Performance testing completed with OctaneBench version 3.06.2, image resolution 933x560. Maxwell is a 3D rendering software for architects and designers. Maxwell is legendary for its quality and realism and delivers great results via a simple setup, which lets you focus on lighting. Tests run on a workstation with Intel Xeon E5 1650 v4, 3.60GHz with 32GB RAM, running Windows 10 64-bit Anniversary Update and driver 385.05. Performance testing completed by Next Limit with internal benchmark using Maxwell version 4.1.1.1, image resolution 400x400. 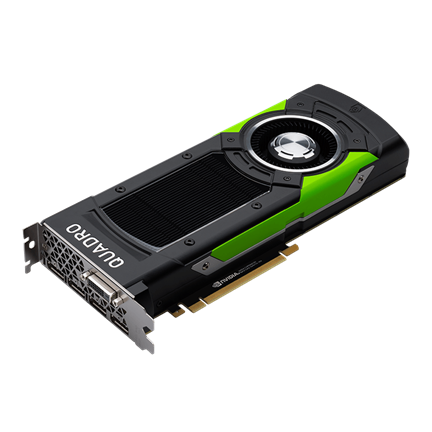 NVIDIA Quadro visual computing solutions provide for a wide range of rendering workloads. 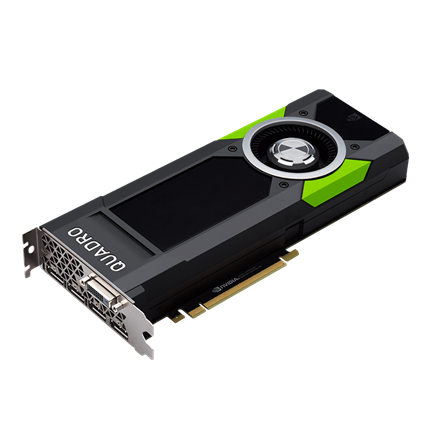 From Quadro GP100, the fastest single GPU rendering graphics solution available today, to Quadro P6000 with 24GB of memory, Quadro can accelerate the largest, most complex rendering tasks. GPU rendering can scale to increase rendering speed by adding additional GPUs to your workstation, using GPU across the network, or rendering on GPU clusters in cloud services. For the ultimate in dedicated, network connected rendering performance, a VCA Certified System provides eight ultra-high-end Quadro graphics cards to accelerate rendering workloads. No matter what your rendering demands require, Quadro has the solution to maximize rendering performance. The NVIDIA Material Definition Language (MDL) gives you the freedom to share physically based materials and lights between supporting applications. Unlike a shading language that produces programs for a particular renderer, MDL materials define the behavior of light at a high level. Different renderers and tools interpret the light behavior and create the best possible image, whether it's an OpenGL-based application or physically based renderer like Iray or Chaos Group's V-Ray. *Savings off of MSRP, discount varies by model selected. 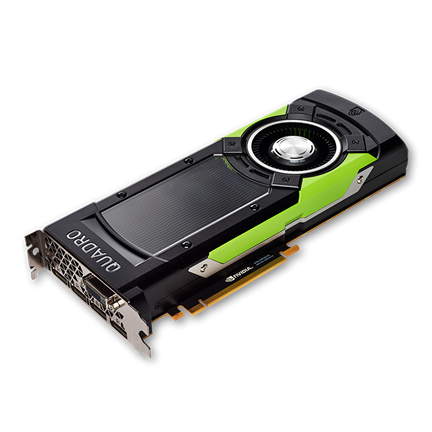 Models include NVIDIA Quadro P5000 (VCQP5000-SB), NVIDIA Quadro P6000 (VCQP6000-SB), NVIDIA Quadro GP100 (VCQGP100-SB), and NVIDIA Quadro GV100 (VCQGV100-PB). Must have valid promo code to be eligible for offer. Limit 2 Quadro GPUs per customer. Offer valid for Quadro P5000, Quadro P6000, Quadro GP100, and Quadro GV100 in North America, Latin America, Europe, India, Africa and Middle East. Offer subject to change without notice. **If your order is shipping to any of the following states (CA, CT, IL, IN, MN, NJ, NY, PA, and WA) and you are tax exempt, please contact us at 1-800-769-0143, to provide a valid resale certificate. No adjustments can be made for tax after the order is placed.